A lot has been said about the end of print. People are feverishly lamenting its death, and indeed many print periodicals have been forced to close. At the same time, as many new ones have started, defying all predictions. When we were starting WTW, we asked our readers how they would prefer to read it. At the end of the fundraising campaign, 42% of our readers had opted for the print edition and 9% for the digital. The largest group (49%), however, expressed interest in both, choosing to receive both print and digital editions. It seems that the question is not one or the other, but one in addition to the other. It is clear that web- and screen-based media have a significant impact on our reading habits and how we access information. Print is great for long-form reading; the tangible quality of hard copy seems to be very engaging, and high-quality photographs look great in print. On the other hand, digital information is indexable, searchable and accessible in many different ways. We offered the Print & Digital subscription for people who want to read the hardcopy version in the setting of their choosing, but also want to retrieve articles digitally and search them at their leisure. We have now tagged all content of the magazine and indexed all people and places mentioned in the magazine. You can search the content based on the location where the article takes place, and clicking on the term shows the keyword in its original context. That’s something that can’t be done in print. When we announced the magazine in October 2012, we offered it in three forms: Digital (eBook, online & PDF), Print, and a package of both Print & Digital. 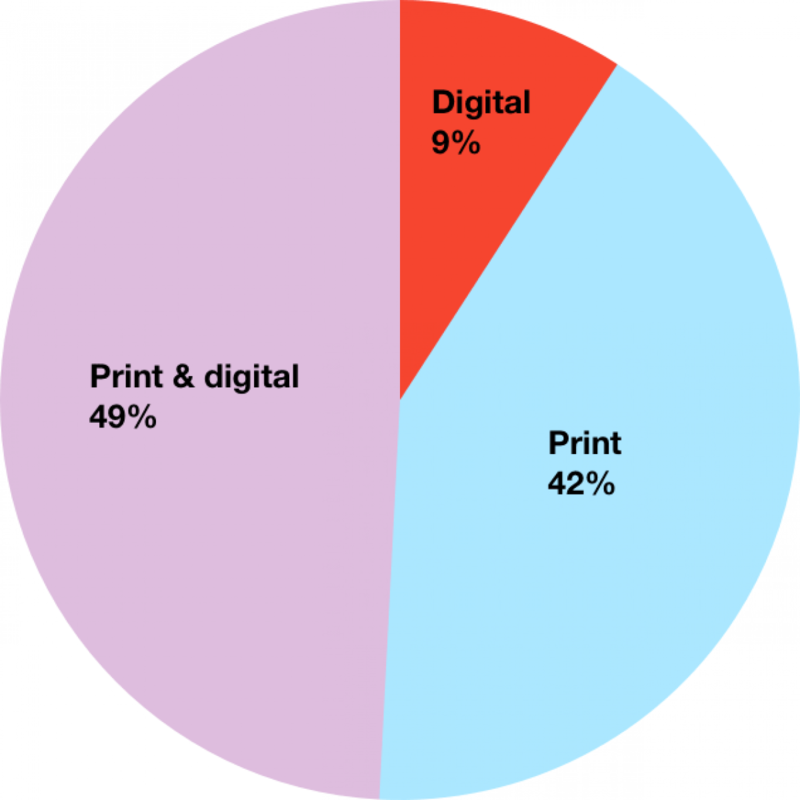 Majority of magazine backers chose the combination of Print & Digital. In the end, it’s about recognising the inherent qualities and benefits of each medium, rather than forcing choices on readers. Enjoy the version you prefer most.